For the essay section of the SAT test, writers are asked to develop a point of view on a particular issue. They must develop this point of view by using evidence, reasoning, and examples based on readings, observations, or their own personal experiences. Each essay question is accompanied by a paragraph about the specific issue, and this paragraph provides important information for the completion of the essay. 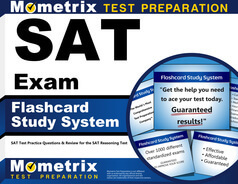 Each SAT test essay is scored on a scale of one (low) to six (high). When grading the SAT test essay, there are several things that the essay readers look at. Each of these things must be done well in order to receive a high essay score. 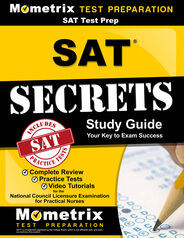 There are several tips that can aid in the writing of a good SAT test essay. First, the assignment should be read in its entirety. Each essay question on the SAT test is accompanied by a paragraph that discusses the issue in question. This paragraph contains important information about the issue, and this information should be taken into account in answering the question. A good strategy is to imagine that the test-taker is having a discussion with the writer of the paragraph. Figuring out what could be said in response to the author of the paragraph, bringing up other ideas and examples about the test-taker’s point of view on the issue, and determining if the test-taker agrees or disagrees with the paragraph author can all provide good starting points for writing the essay. In addition, making sure to not oversimplify the essay answer is very important. Each example or idea that is brought up in the essay must be thoroughly explained and supported. It is preferable to have a few well thought-out and supported ideas and thoughts than it is to have many simplistic and not well supported ideas. Furthermore, since the essay can be written using the test-taker’s own personal examples and experiences, the use of the word “I” is permitted. Do not be afraid to use the first person in the writing of the SAT test essays. Remembering to let oneself shine through in the essay question is important. Finally, make sure to write about the topic or issue that is presented. Any essays that are not written about the topic or issue presented receive a score of zero.